A member of the National Communication team of the National Democratic Congress (NDC), Tetteh Caternor, has criticised President Nana Akufo-Addo over the incessant power outages the country is experiencing lately. Caternor, a Parliamentary Candidate hopeful in the La Dadekotopon constituency in the Greater Accra Region, believes the month-long power cuts is as a result of the "deceit" of president Akufo-Addo. Speaking on Inside Politics, a political talkshow on Radio XYZ 93.1, Mr Caternor noted Ghanaians are disappointed in Akufo-Addo for failing to deal with the power challenges after a tall list promises he made to Ghanaians. "He lied to Ghanaians...He cannot solve the dumsor and he [Akufo-Addo] keeps lying to Ghanaians. Ghanaians are tired and disappointed in this government," he lamented. Ghana has close to 4,420MW installed capacity including plants and dams. This capacity is more than the country needs but the power producers are unable to get Ghanaians about 2,500 megawatts at peak hours to power homes or businesses. The Government says the situation is as a result of the connection of Ghana gas pipelines to the West Africa Gas pipelines. Barely two weeks ago after almost the whole country was plunged into darkness, the Energy Minister John Peter Amewu assured that the situation would stabilise in five days, however, millions of Ghanaians continue to sleep in darkness follwing the unstable power. Government has also rejected calls for a timetable to be published to guide power consumers despite persistent calls to know when their power will be interrupted. 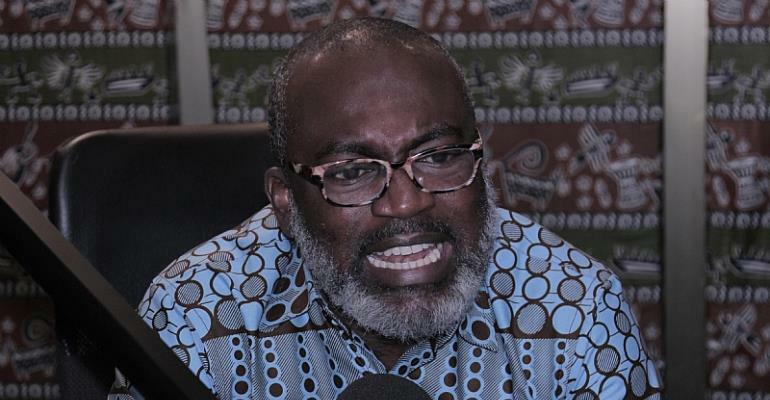 Downplaying the call, Deputy Energy Minister William Owuraku Aidoo apologized for the erratic power supply at a press conference yesterday, assuring Ghanaians of stable electricity in the coming weeks. But Caternor believes the Akufo-Addo administration is financially constraint thus it cannot buy crude or gas to power the thermal plantts to generate electricity for the country. Meanwhile, policy think-tank African Center for Energy Policy (ACEP) has disclosed the power cuts is a financial challenge. ACEP Executive Director, Ben Boakye, told Joy FM government is struggling to find money to buy fuel to power plants and generate electricity. “It is not a technical challenge...We don’t have fuel,” Ben Boakye noted as he rubbished reports that the situation was linked to a technical challenge. Mr. Boakye explained, Ghana’s Karpower, with the capacity to generate 450MW, is now only producing 180MW because the government is unable to buy Heavy Fuel Oil (HFO). The 350MW Sunon Asogli power plant in Tema which has a daily gas requirement of 120m standard cubic feet of gas/per day (scfd) gas expected from Nigeria is getting just about a half of their requirement and therefore is unable to operate to full capacity. TT Caternor further observed, although the country is facing many challenges which include a terrible economy and a nosedive of the cedi, the president was only interested in travelling outside the country. The president is on a 9-day tour to USA and Cuba. He is expected to be back to the country on April 6, 2019. Addressing Ghanaians in the Worcester, Massachusetts in US, President Akufo-Addo stated his government remains fiscally prudent and will not borrow like the Mahama administration did by mismanaging the economy that took Ghana to the IMF, stressing that the country had excess power and now transporting power to neighboring Burkina Faso as a result of his competent handling of the energy sector. Caternor rubbished the claim and noted that per records from the Energy Commission, Ghana had been exporting power to Burkina Faso since 2013 under the John Mahama administration. The records show that Ghana exported 530MW in 2013, 522MW in 2014, 587MW in 2015, and 187MW in 2016, following the Inter-Zonal Transmission Hub Project Agreement which was signed by the Mills/Mahama administration with the World Bank and other partners and which became effective on 14th December 2012. To Caternor, Mr. John Mahama made so much commitment to stabilising the power sector while in office as the president. He said the AMERI and Karpower agreement brought on board 250MW and 225MW respectively, thus the Akufo-Addo administration has no clue how to sustain the power sector hence the power cuts Ghanaians are faced with. "If we don't vote for John Mahama again for him to come and rescue us, we'll be in severe hardship because of the lies and propaganda of Akufo-Addo and his cohorts in government," he added.